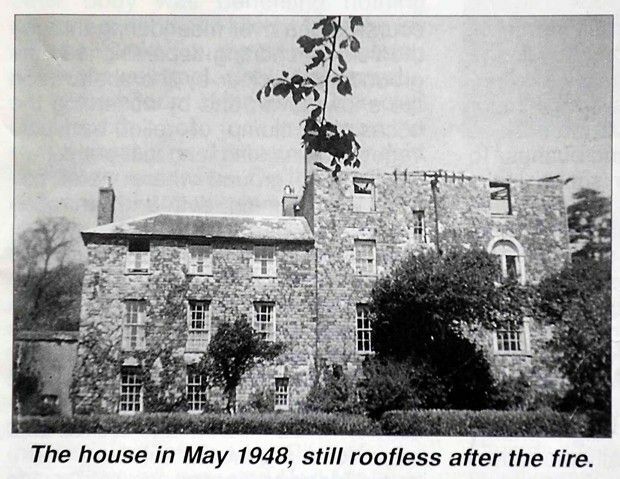 Here is some of the history of Llanstinan, including archive photographs of the large historic estate in Pembrokeshire West Wales. Any more information especially photographs would be very gratefully received. Llanstinan Home Farm, Letterston, Pembrokeshire SA62 5XDCoach House, Stables, Courtyard and Grooms Quarters. Llanstinan House, situated a few miles south of Fishguard, for several centuries the centre of an estate of 3,200 acres, has been occupied by a succession of distinguished Pembrokeshire families who each modernised and/or rebuilt the house, stable yard and outbuildings and altered or replanted the gardens and parkland. The double lime avenue may have been the grandest in Wales and the garden adjoining the house, tsmall by some standards being constricted by the site, one of the most interesting and best preserved in the county. The walled stables and service wing, the tack rooms and the coach house were on the ground floor in the courtyard. There was an archway at the entrance of the courtyard; hay and grain lofts were situated above the stables. The grooms and coachmen lived in the accommodation above the coach house and stables. This accommodation consisted of 6 separate units; the hearths can still be seen today. The parish and the house are named after St Justinian a saint of the 5th century, confessor to St David, who was martyred on Ramsay Island. (Source: Fenton & others.) Much of the information here is a resume of the history of Llanstinan gleaned from notes made by a Mrs Hinton’s father, Henry Phillips Griffiths, showing the involvement of the Griffiths family and adding some of her own recollections. Mrs Hinton, a daughter of the Griffiths family who owned the house in the first half of the 20th century, was named Justine – after St Justinian. 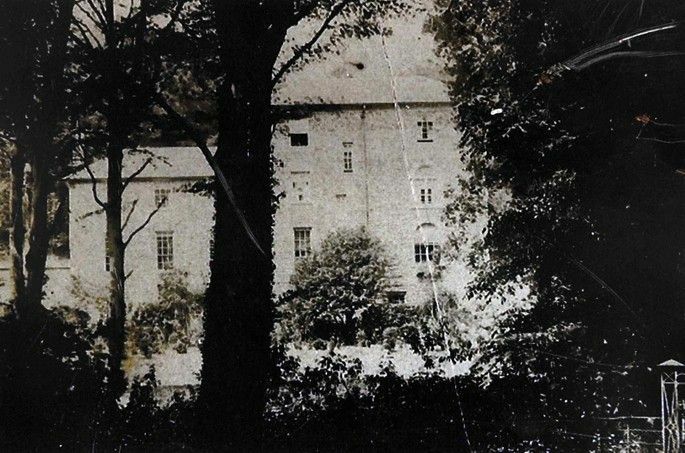 Mrs Hinton has recorded much of the history of the mansion, she was born at Llanstinan and was living there when the fatal fire broke out, which occurred on her 19th birthday in 1944. Henry Phillips Griffiths moved to Llanstinan from Longhouse Farm, Mathry, with his family in 1918. The family consisted then of four girls and a boy, ranging in ages from 14 years to eight. Mrs Justine Hinton the youngest was born at Llanstinan in 1925. The building was originally nearly square, 18yds by 16yds, with narrow windows and walls 4 to 5ft thick, 3ft on top, 5 stories high, with a flat roof. This is said to be the ‘Spanish’ style of architecture. The earliest known dates are approx. 1500-1550. Sir Henry de Torrens, a Spaniard, came to England with Catherine of Aragon (1501-1536) is said to have lived there. This is on the authority of Dr. and Mrs Harvey who lived at Llanstinan from 1893 to 1901. Fenton says that Leyland the Royal Antiquary and Henry VIII stayed or slept here; his horses and carriages were stabled in the courtyard. 1570: His son Morgan Lloyd married a daughter of Thomas Madog. 1600-20: Llewellyn Lloyd, Llanstinan, married Margaret, daughter of James Rees of Pent-y-Parc. They had two daughters, Jane and Janet. Janet married Rees Wogan and inherited Llanstinan on the death of her father. Rees Wogan was the second son of Sir John Wogan of Boulston. They had six children. In 1660 Maurice Wogan married Mary, daughter of Williams Jones, Archdeacon of Carmarthen. Mary died in 1677. They had one son, William Wogan. The Hearth Tax returns in 1670 recorded only four hearths in the mansion, the hearths in the stable block apparently being exempt. Sire William Wogan became Chief Justice for the Carmarthen Great Sessions 1689-1701 and ultimately M P for Haverfordwest 1679. He was married twice, and died in 1708. Administration was granted in 1709 to his widow Lady Wogan and his nephew William Wogan (son of Maurice Wogan, above). Presumably this William Wogan was a minor at the time of the death of his father Maurice, hence affairs were left to his uncle William, who also died before his nephew was old enough to inherit. William Wogan was admitted to Grays Inn 1687, and died a bachelor in 1710. He left his estate in trust for his nephew John Symins, who was 10 years old at the time of William’s death. In the Hearth Tax returns in 1710 the accommodation was listed as "4 garrets, Hopkins' room, room over the Oak room, closet, room of the Gallery, Maids' Room, Room over Cedar Room, Cedar Room, Walnut Room, Oak Room, Room over the little parlour, Withdrawing room, Great Parlour, Little Parlour, The Hall, The Study (which contained a fine library), Kitchen, Dairy, Cellar, Outer Cellar, Cellar under the Stairs and Hall." "Either the place was considerably enlarged in the period 1670-1710 or else there were, in fact, very few fireplaces in it. There is a possibility that the returns of 1670 were not as meticulous as the tax-gatherer would have wished for." The courtyard may have been deliberately excluded. N.B. The Wogan family are directly related to Sir Terry Wogan. John Symins married Maria, daughter of Charles Phillips of Sandyhaven. Their eldest son John, born 1744, received possession of the family estates from the Trustees in 1766. In 1773 he married Anne, daughter of George Barlow of Slebech and widow of William Trevannion of Carhays, Cornwall. Upon the death of his wife he became possessor of the Slebech estate. He entirely rebuilt the mansion at Slebech with the result that his expenditure brought about the break up of the Symins’ estate, which was extensive. In 1782-83 most of the Llanstinan and Slebech estates were sold to Colonel William Knox of Soho Square, London. He had been Provost Marshall of Georgia and secretary of state for the colonies. The Knoxes built the coach house for his own use and that of regular upper class business and private guests. Colonel Knox raised a troop of volunteers called the Fishguard Fencibles which were placed under the command of his son Thomas aged 28 (the Col. Knox who was called upon to quell the French invasion of Fishguard of 1797). 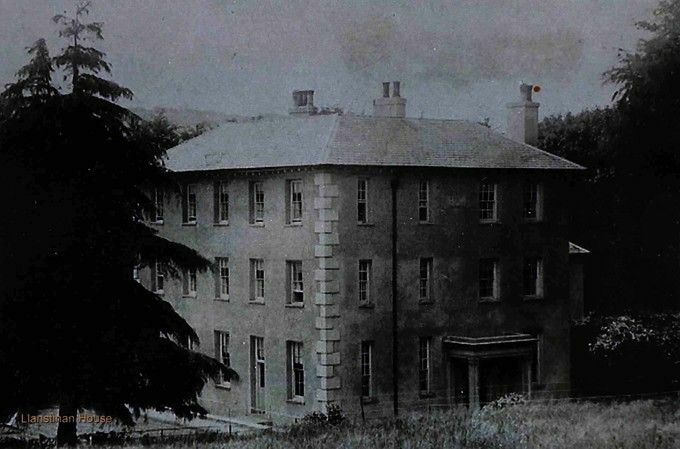 Young Thomas Knox was in attendance at an event at Tregwynt Mansion on 22nd February 1797, when a messenger on horseback arrived sent on his father’s instruction at Llanstinan (on behalf of the Fishguard and Newport Volounteer Infantry) to instruct the commanding officer of the invasion. A number of horses used in the uprising by the commanding officer and the Yeomanry were from the Knox’s Llanstinan stables. 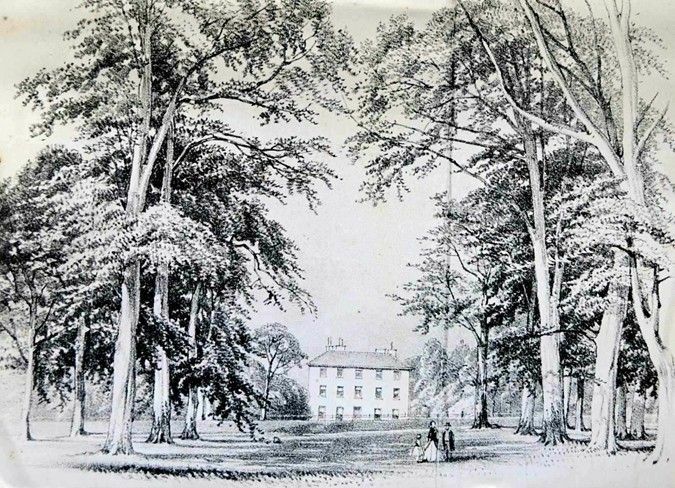 The coach house that Colonel Knox built was later replaced by finer stables, those built by Sir John Owen, and also had the avenue of lime trees planted (not elm as stated in the Farebrother sales particulars of 1856). It would seem that this avenue replaced one of the earlier dates as there were traces of an earlier avenue having existed. 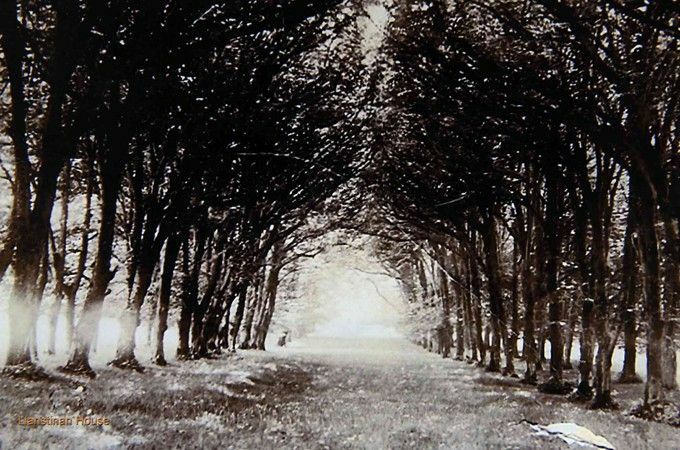 It was a double avenue, that is, two rows of trees on each side, resembling a cathedral with side aisles. The bees worked it thoroughly in summer when the limes were in blossom, suggesting that the proprietors had an interest in bee-keeping and honey harvesting. The avenue was the same width as the house. 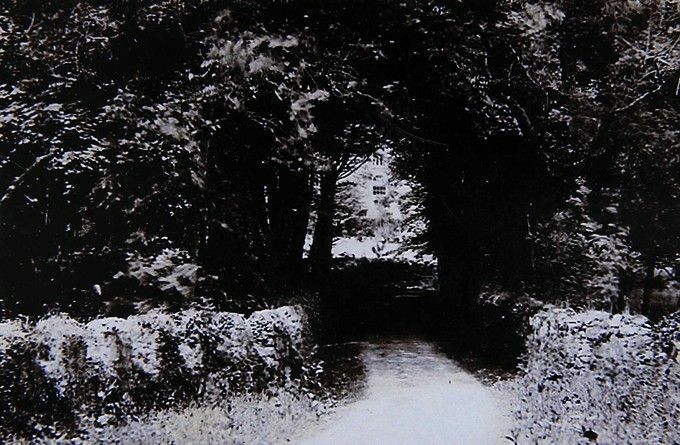 Note: the coach house, outbuildings and stable block are visible here at the end of the lane to the Hall. There seems to be some doubt as to whether Col. Knox predeceased his father or whether he went abroad. Whatever the circumstances, William Knox died in London in 1810 and the estate was put on the market. It fell into decay much to the regret of the local historian and friend of the family Richard Fenton (1746 - 1821), who writing in 1811 in his ‘Historical Tour through Pembrokeshire’, described it as 'embosomed in majestic woods' but 'now, alas, denuded, deserted and rapidly hurrying to decay - a mansion that ever ranked in this county, among the first class with regard to its pretensions in every respect, and second to none as to the character of its possessors, its hospitality, its popularity or its influence - a mansion to me endeared by a thousand tender recollections that I could never see, think of or refer to, without a melancholy pleasure.' According to Fenton the house was derelict with the owners living elsewhere at this time. It passed through the hands of the neighbour Lewis Mathias of Llwangwarren but the dates are variously stated by different writers. Sir John Owen died and was succeeded by a relative who also became Sir John Owen in 1813. In 1820 the estate was offered for sale but not sold. Lamphey possessions were sold and mortgages raised. Sir John Owen of Orielton (sir John Owen, Baronet, Lord Lieutenant of the County) purchased the estate for £21000, he bought it by auction on May 20th 1824. The mansion was occupied at the time by Robert Peel esq (presumably a tenant of Col. Knox or his father). Sir John Owen restored and altered the house, the top storey was lowered, and a new wing added. Sir John Owen also rebuilt the stables, (which were used not only for private use, but for visiting carriages for private dignitaries) and changed the orientation of the house, giving it a different approach road to the east and placing the front entrance on the north side. It became a Georgian type house. The south side was slated, the other sides rough-cast. He also made a new walled kitchen garden, further from the house than the original one (which is still there today). He divided the park of 70 or 80 acres into three fields and planted some timber; mostly larch and Scotch pine. The mansion became the handsome seat of Sir John Owen’s eldest son, Colonel Owen in 1833. This picture shows the archway and courtyard where the horses and carriages were kept. 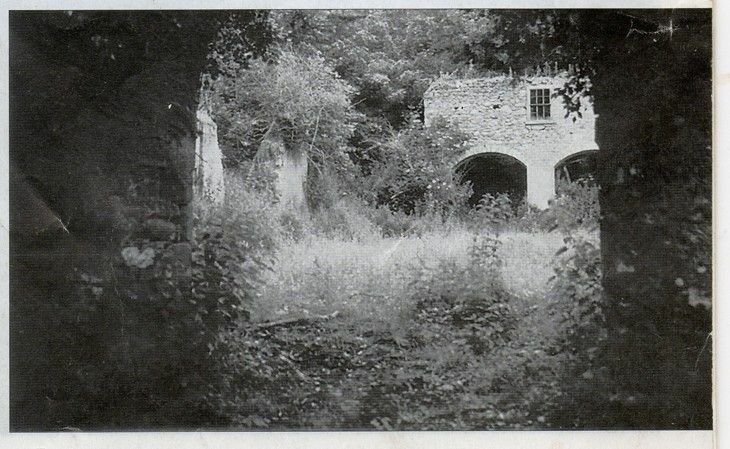 There were fine entrance gates here for security.The Courtyard and Stables here are seen here to be overgrown in 1970. The lead was stolen from the rooves which caused the buildings demise. The grooms’ and servant’s quarters were still accessible over the stables at this time. The courtyard was fully cobbled, and the cobbles are still there today. The Llanstinan estate and other properties of Sir John Owen were sold or put up for sale at the Castle Hotel, Haverfordwest on 21st June 1856. It is presumed the building or enlarging of Orielton brought about the necessity of this sale. Llanstinan was then bought by Sir Charles Compton,QC. His daughter was married from Llanstinan about 1859 and three deodars (North Indian Cedars) were planted in the grounds to commemorate the event. All have disappeared now. Between 1865 and 1900 various people appear to have rented the house and lived in it for short periods. 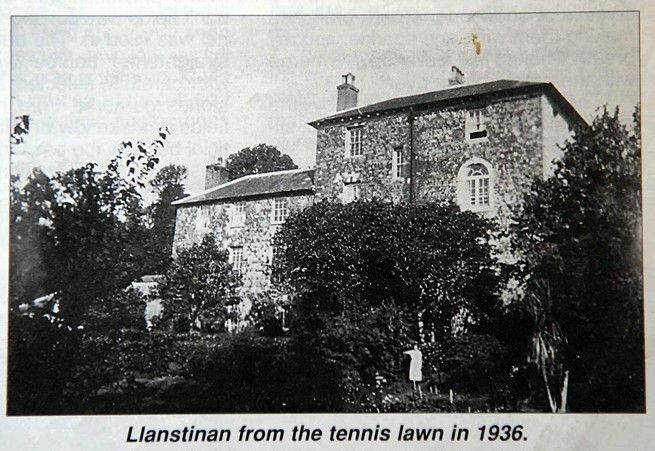 When Mrs R Griffiths (Mrs Hinton’s grandmother) purchased Llanstinan in 1907 the house had been empty for about 7 years. It was in a run down condition, the grounds were overgrown by rhododendron and self generated scrub timber. An eyewitness at the time is reported as saying “it looked very much like a deserted, haunted house with a queer looking little side porch at the front door”. The impression could be similar today. Mrs Hinton’s grandmother had a new reservoir made to provide running water to the house, a bathroom put in, a new porch built – the date 1908 can still be seen over what was the front door – had the interior extensively restored and redecorated, and had the grounds landscaped by a firm called Tresider of Cardiff and Truro. 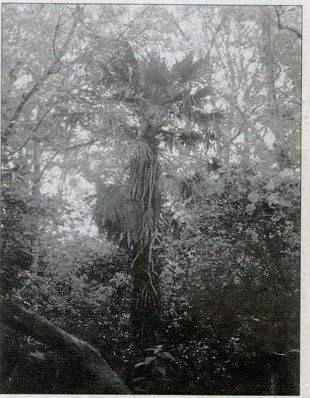 The palm trees, which still exist, were planted then, also pampas grass and bamboo canes, and cypress trees. The grounds were terraced, a tennis court and croquet lawn were laid. Out buildings, stables and the cobbled court yard were likewise restored to receive coach and horses of local and foreign dignitaries. The row of palm trees still stands today. In 1918 Mrs Griffiths’ son took over the property. The estate consisted of 250 acres; two farms, four cottages, and a lodge. At that period it was a self-supporting enterprise but during the recession which occurred between the two wars it became a liability – the tenant farmers were unable to make a living, rents had to be reduced and eventually the farms became vacant. The property was mortgaged and as there was no revenue from the estate the mortgagees finally foreclosed, about 1939. During the late 20’s and 30’s Mr Griffiths had sunk what fortune he had into trying to make something of the property and hold things together. About 1937-38 the Admiralty started developing Trecwn as armament depot, and prospected the road and railway which were to cut through the Llanstinan estate. There was never any question of a law suit with the MOD – war was expected soon and Trecwn was evidently being prepared for that eventuality. It would have been futile to attempt to fight the MOD who could have invoked powers to confiscate the land anyway. After the mortgages foreclosed in 1939 William Miles (Matthew Miles’ great grandfather) was appointed tenant by the creditors, to farm Llanstinan Home Farm, and some years later Nant Gwyn, the second farm. Mr Griffiths continued to occupy the mansion and surrounding grounds upon payment of a nominal rent, along with two refugee families. Whatever compensation was offered by Admiralty was seized by the mortgagees. When the mansion caught fire in 1944 the house was not gutted by the fire, though the roof over the main and older part of the building was destroyed and the beautiful oak staircase, presumed Jacobean, irreparably damaged. The fire to all appearances was caused by a chimney fire earlier in the day which seemed to have been extinguished but must have ignited a beam that continued smouldering, and burst into flame during the night. The flames were seen by soldiers walking along the road from Letterston to Trecwn. They ran down through the fields and raised the alarm. Mrs Hinton’s older sister was awakened first and roused the household; her father, being extremely deaf, would not have heard easily. In addition to the Griffiths family, the two evacuee families were still living in the house plus a local family who rented the part in which the offending chimney was located (the house did consist of 30 rooms). The smaller ‘kitchen’ wing was untouched by the fire. This consisted of two storeys above the ground floor where the kitchens, larder and cellars were, and contained the study, small sitting-room, two bedrooms, bathroom and two toilets. So it was possible for the family to continue living there for a time though the evacuees had to be accommodated elsewhere. At the time of the fire Mrs Hinton’s brother and two married sisters were living away at some distance though three of the girls were living at home with their parents. Mrs Hinton was doing war work at Trecwn, so was able to take accommodation in one of the hostels there. The insurers paid over a sum of money which could and should have been used to repair the roof but the mortgagees claimed it and did nothing about repairs. In 1947 the house and surrounding grounds were put on the market and were bought by W E Dixon of Williamston, who was mainly interested in the timber. He was quite prepared to allow Mr Griffiths to go on living in the house for which he had no immediate use, and Mr Griffiths continued to live there until he died in 1951 age 92. For the last three years of his life he had lived in the old dilapidated mansion with his daughter and her large dog. His son stayed for a few years after his marriage in 1947 occupying the accommodation in one of the apartments in the stable loft in the courtyard until he moved after the death of his father. N.B. It can be seen in this attachment that the Tenant for Llanstinan Home Farm, Llanstinan Hall, some of the land, and one of the cottages was W Miles. Mr William Miles bought the farm and the Hall some years later, and it is still owned by the Miles family today. The layout of the courtyard and stable block is described in both the sale document of 1856 and that of 1947. Mr Griffiths, his daughter Mrs Justine Hinton, William Miles and his son and grandson John Miles and Derek Miles all remember the Mansion and the integral stables and courtyard as a fully functioning unit owned by the Landed Gentry, and have passed these vivid memories, descriptions and written documents down through their families to value and appreciate the history and meaning of these buildings. Named after St Justinian, a saint of the 5th century, confessor to St David. Martyred on Ramsay Island. (Fenton & others). Originally a nearly square building, 18 yards by 16 yards, narrow windows, walls 4 to 5ft thick, 3ft on top, 5 stories high, flat roof. It is said to be the Spanish style of architecture. The earliest known dates are approx.1500-1550. Sir Henry de Torrens, a Spaniard, supposed to have come to England with Catherine of Aragon (1501-1536) is said to have lived there. This on the authority of Dr and Mrs Harvey who lived at Llanstinan from 1893 to 1900. Fenton says that Leland the Royal Antiquary to Henry V111 stayed and slept there. 1550 Llanstinan appears to be in the ownership of the Lloyds. Jenkin Lloyd married as in title Clynfyw (parish of Manordeifi). 1570 His son Morgan Lloyd of Llanstinan daughter of Thomas Madog. 1600 Llewellyn Lloyd of Llanstinan married Margaret, daughter of James Rees of Pent-Y-Parc. They had two daughters, Jane and Janet. Janet married Rees Wogan 1620 and inherited Llanstinan on the death of her father. Rees Wogan was second son of Sir John Wogan of Boulston. They had six children. 1640 Thomas Wogan, second son of Rees Wogan and Janet inherited Llanstinan and married Elizabeth, daughter of John Owen of Berllau, Eglwysrw. They had six children, the eldest being Maurice who inherited Llanstinan. The second was Sir William Wogan, Chief Justice of Carmarthen Great Sessions. Maurice and William were both admitted to Grays Inn on 23 May 1653 and called to the Bar on 1 June 1660. 1660 Maurice Wogan married Mary, daughter of William Jones, Archdeacon of Carmarthen. Mary died in 1677. They had one son, William Wogan. Sir William Wogan became Chief Justice for the Carmarthen Great Sessions 1689-1701 and ultimately MP for Haverfordwest 1679. He was married twice, and died in 1708. Administration was granted in 1709 to his widow Lady Wogan and his nephew William Wogan (son of Maurice Wogan, above). Presumably this William Wogan was a minor at the time of the death of his father Maurice, hence affairs were left to his uncle William, who also died before his nephew was old enough to inherit. William Wogan was admitted to Grays Inn in 1687, and died a batchelor in 1710. He left his estate in trust for his nephew John Symins, who was 10 years old at the time of William Wogan’s death. John Symins married Maria, daughter of Charles Phillips of Sandyhaven. Their eldest son John, born in 1744 received possession of the family estate from the Trustees in 1766. In 1773 he married Anne, daughter of George Barlow of Slebech and widow of William Trevannion of Carhays, Cornwall. Upon the death of his wife he became possessor of the Slebech estate. He entirely rebuilt the mansion at Slebech with the result that his expenditure brought about the break up of the Symins estate which was extensive.